My third child is a mover and a shaker...she always has been. She was climbing on tables before she could walk and has brought a whole new meaning to the word "baby-proofing". I've had to baby proof things with her that I never had to worry about with my first two kids. She keeps life interesting that is for sure. She loves her new found freedom of being 2.5 and getting to go places out of the stroller or shopping cart now. She loves to follow her big brother and sister around and since she's not the baby anymore she loves to go wherever she chooses. When I was contacted about reviewing the Hold-On Handles from Greater Than One Kids that was created by a mother of triplets I jumped at the chance. I thought maybe this will truly help me feel a little better about not taking the double stroller everywhere and will give Hannah a little bit of the freedom that she desires. The hold-on handles come with a giant carabiner that can hook onto many different places or I can just hang on to it. 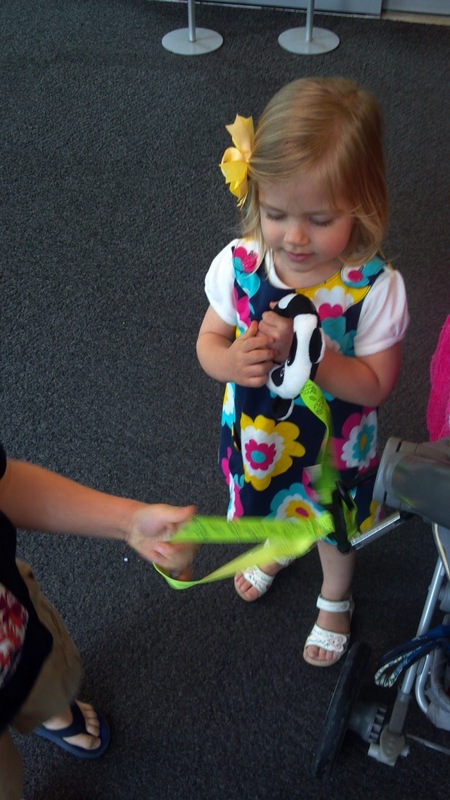 The plush panda bear is fun for Hannah to hang onto yet the length of the strap gives her "just enough" freedom to wander. There's also a second loop that Micah hangs onto sometimes which gives me confidence in his safety as well since he doesn't always pay attention. 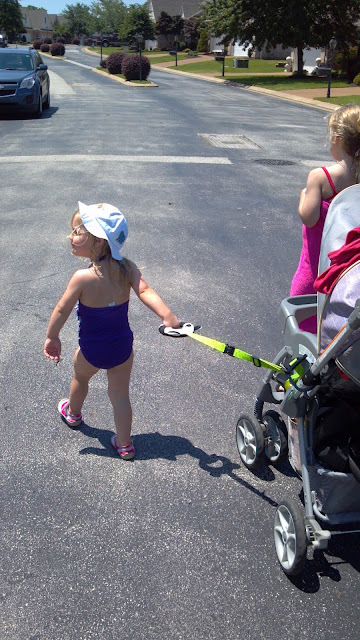 "With Hold-On Handles you can feel more confident, and your children can be safer, more active and happily independent when you are out and about together – a far better option, we believe, than a leash or harness." I was sent the Zany Zoo Plush Panda handle and we love it. It's so cute and Hannah loves it too. Yes, sometimes I have to remind her to hold onto the bear but she's 2.5 so that's expected! We also like to use the hold-on handles when going to the pool at my parents condo. 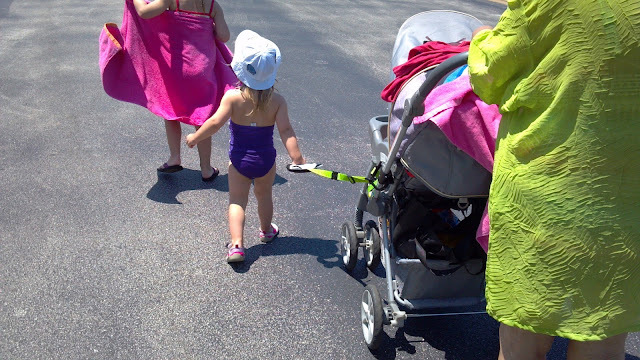 We have to walk on the street to get to the pool so it makes me feel a little better when I know Hannah is holding on to something and not just left to wander. I would HIGHLY recommend the hold-on handle to anyone with more than one kid...multiples or just a curious toddler with a baby in tow. It saved me many headaches and Hannah is getting trained to hold on more often and actually likes the panda bear...I think we'll have to name it soon! I was sent a Zany Zoo Plush Hold-On Handle in exchange for my opinion. All opinions are my own. I was not compensated in any other way.